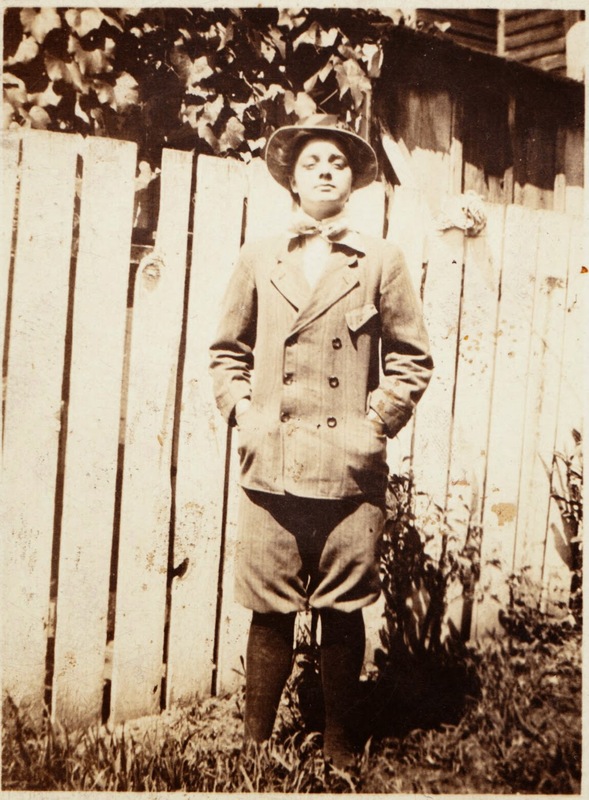 This unused real photo postcard features a young man wearing a snazzy outfit and standing in front of a wooden fence. Presumably, this photograph was taken in York, Pennsylvania, because the tiny logo on the front denotes "Penn Park Studio" and "York, Pa."
And, on the back — which is divided, dating this card to 1907 or later — is the following information: "Penn Park Photograph Gallery, 25 West College Ave., York, Pa."
What I don't know is whether Penn Park Studio and Penn Park Photograph Gallery were one and the same. That would mean the studio closed circa 1922. So that officially dates this postcard to sometime between 1907 and 1922, which probably would have been our guess anyway, generally speaking. 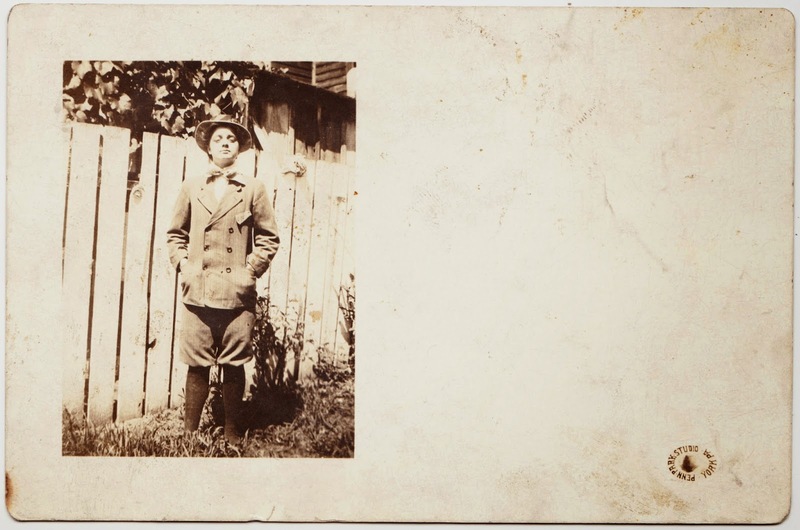 This person, by the way, was almost certainly alive when the photograph was taken, unlike a minor incident we had here on the blog earlier this week. Let's zoom in even closer. Fifty years ago (1897): August C. Kruger, crack marksman and pigeon fancier, Wrightsville, visited friends in York. Fifty years ago (1897): Martin Tryor, declared officially dead in 1892 in Lancaster county after and absence of 12 years, surprised his relatives by paying them a call. Fifteen years ago (1932): The Lancaster-York Inter-County bridge commission decided to plant Japanese cherry blossoms at the approach to the Columbia bridge. Fifteen years ago (1932): A new lake created at Long Level by the damming of the water of the Susquehanna river brought about a condition by which choppy high water was menacing the summer homes of the small colony. I also have two Penn Park Photograph Photo Postcards. 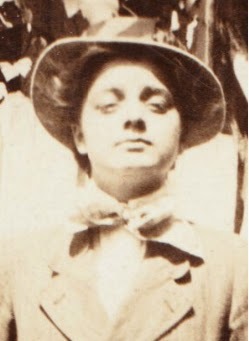 believed to be C. 1908-1914. They are family ancestors but not sure who.